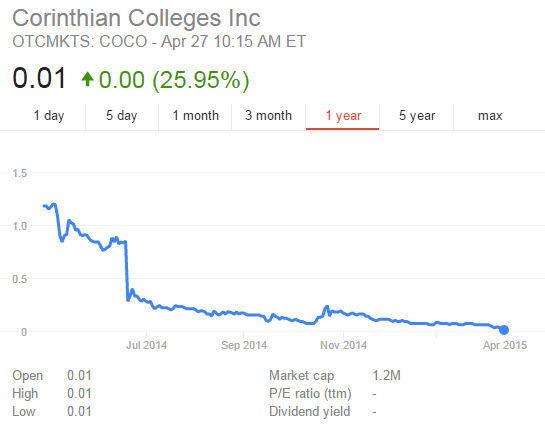 Corinthian Colleges, a U.S. for-profit educational company, described back in July 2014 as in financially perilous condition because of federal government regulatory action and multiple criminal investigations at the state level, has given up the ghost. All remaining twenty-eight campuses have closed, effectively immediately. The 16,000 students who were still enrolled at these campuses, many with large amounts of debt, are now spinning in the wind.